Supermodel Gigi Hadid's style inspires this piece. 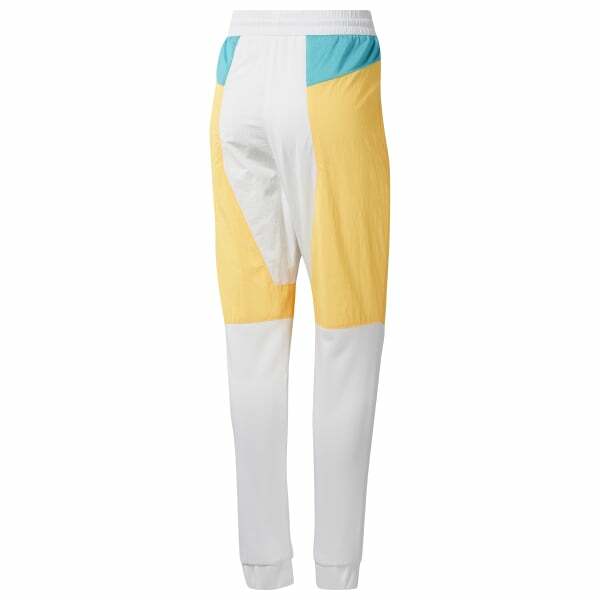 These women's pants feature bold, geometric blocks of color. The ponte fit combines the comfort of leggings with the structure of jeans. They're made of a durable nylon fabric for a crisp, smooth feel.